With terrorist events happening more and more frequently around the world, many are left wondering what is going to happen next? This book may not directly answer this question, but it does explain what, where, and why this war with Al-Qaeda and Daesh (the Islamic State of Iraq and Syria (ISIS)) is occurring. With terrorist events happening more and more frequently around the world, many are left wondering what is going to happen next? 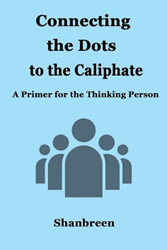 This book may not directly answer this question, but it does explain what, where, and why this war with Al-Qaeda and Daesh (the Islamic State of Iraq and Syria (ISIS) is occurring. It can also assist in understanding these enemies better in the context of negating or countering their ideology. Dr. Simon Cottee, a senior lecturer in criminology at the University of Kent, England, says many Western leaders don’t seem to know what ISIS’ and Al-Qaeda’s intentions are, or where the groups come from. In December 2014, Major General Michael K. Nagata, special operations commander for the United States in the Middle East, said he couldn’t figure out ISIS’ appeal to its followers. Through various examples and references, Husein Taherbhai writing as Shanbreen, unfolds the various conditional aspects in defeating the ideology that drives the terrorist groups. He traces the path of the West’s involvement in the Muslim world, and examines the U.S. relationship with Israel. The author unearths American geopolitical policies that may not be obvious to the lay person, and analyzes the role of Iran in the region and its standing in the Western world. Above all, it touches upon some fundamental interpretative understanding/misunderstanding of the Sharia and its role in the governing of Muslim states, as well as the importance of religion in the East, vis-à-vis that in the West. Explanations as to why ISIS should be called Daesh, the effect of the Israel-Palestinian conflict, the mental effect on Muslims in ridiculing the prophet under the banner of free speech, the reason for Islamophobia, and the universal xenophobia of Muslims and their world are all examined to get a better understanding for defeating the ideology of hatred propagated by Daesh and Al-Qaeda. About the Author: Husein Taherbhai (Shanbreen) migrated to the United States, where he obtained a BS in industrial administration, an MBA, and a Ph.D. in psychometrics. He has published various papers in scientific journals, and has three fictional books to his name. Now retired from his career as a principal research scientist in the field of education, he lives in Pittsburgh, Pennsylvania. “Never has it been more important to understand the motives and thinking behind terrorist Islamic groups. We are very proud to announce the release of this ground-breaking book,” said Robert Fletcher, CEO of Strategic Book Publishing and Rights Agency. http://sbprabooks.com/Shanbreen or at Amazon.com or Barnesandnoble.com.